Blog authoring tool, Windows Live Writer is the most popular authoring tool in bloggers community. If you maintain lot many blogs and at a point decide to delete some of them because now you don’t maintain them, here is the way to delete blog account from WLW. Recently, Microsoft released Windows Live Writer 2010 beta which looks similar to other office products. 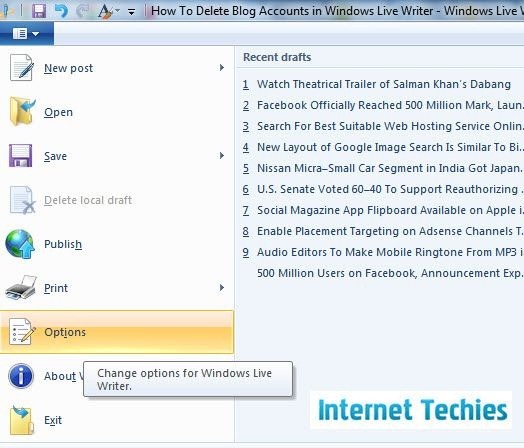 So here we will discuss the way to delete blog accounts in Windows Live Writer 2010 and 2009 as well. Windows Live Writer 2010 is having a menu option on top-left corner of the window. Click on the menu option and select “Options” link from there. Now you can see a new window having lot many options on the left panel. 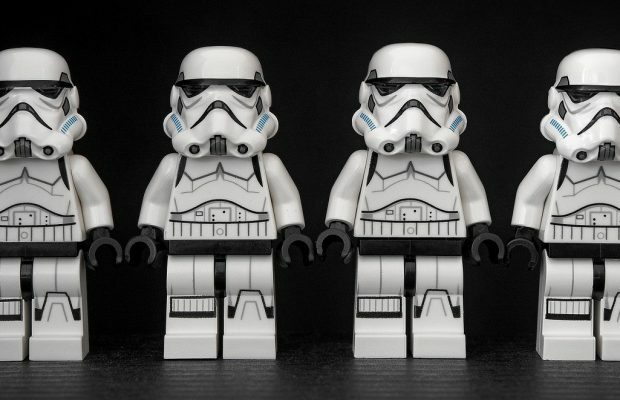 Select “Accounts” from there and then you can choose blog from the right panel. Select the blog to delete from WLW and click on “Delete” button available on the same window. Done, that blog account will be deleted from your Windows Live Writer 2010. 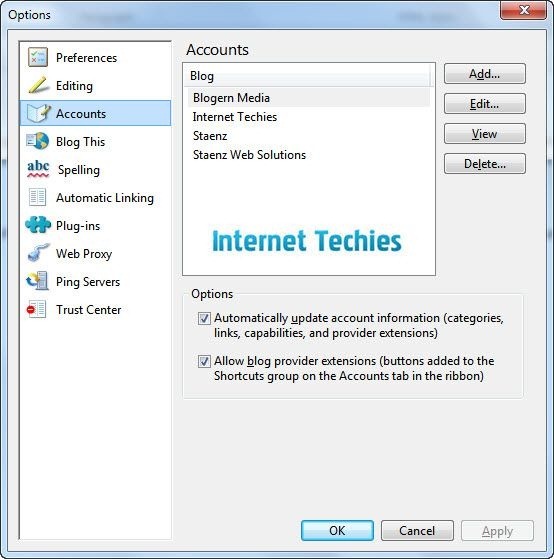 To delete a blog account from Windows Live Writer 2009, go to “Tools” option on menu bar and select “Options” from there. The options window is same in WLW 2009 and 2010. So you can use the same navigation explained in 2010 to delete a specific blog account from your Windows Live Writer platform.